The International Supply Chain Protection Organization (ISCPO) adds LaserShip, Inc. to its roster of certified final-mile carriers. Dallas, TX (April 15, 2019) – FOR IMMEDIATE RELEASE – The International Supply Chain Protection Organization (ISCPO) is pleased to announce that LaserShip, Inc. has been officially awarded the ISCPO Carrier Certified designation, as part of the ISCPO’s Carrier Security Audit & Certification program. Lasership has achieved full compliance with ISCPO Carrier Security Requirements, which includes a comprehensive due diligence process and analysis of various security standards necessary to ensure the integrity of goods flowing through the carriers and their clients’ extended supply chain. 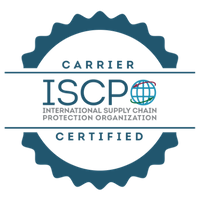 Carriers awarded the ISCPO Carrier Certified designation demonstrate their commitment to maintaining elevated levels of security, both internally and externally with their clients. By adhering to one framework of standards set by the ISCPO, time and resources are saved on all fronts. Clients have peace-of-mind that their goods are secure while in transit. Carriers save time and expense by not having to toggle between different client security programs. And, the end customer gets their package on time. This article was originally published by Loss Prevention Magazine and was written by ISCPO Board Member and past Chairman, Glenn Master. If you’re like me, you’ve probably placed an order online in the last ninety days. Like most online experiences, it was likely seamless. You type a product in the search field, pull up comparable items, make a command decision, and place the order. When the experience concludes, you will have received an email confirmation of the order and the expected delivery date for your parcel. Most consumers who follow this process every day in the world don’t give a thought to what transportation providers will be handling their parcels. This responsibility falls on the retailer, who has been entrusted with the customer’s order. If the parcel shows up at the doorstep on time, life is good for all parties. If it doesn’t show up, life becomes bad, specifically for the retailer. According to several marketing surveys, by 2021 global e-commerce sales will reach a staggering $4.5 trillion. To put that into perspective, out of the 190 countries ranked by the International Monetary Fund based on their gross domestic product (GDP), this dollar amount would rank number four in GDP between the countries of Japan and Germany. term “made in China.” However, as e-commerce continues to accelerate, the new term in the market place is becoming “purchased in China.” In November 2018, Alibaba CEO Daniel Zhang announced that it intends to help global business sell $200 billion in goods to China through e-commerce channels in the next five years. The Chinese government has hosted several logistics summits to try and promote its own internal e-commerce growth for Chinese retailers, who drastically want to sell and ship directly to consumers in the United States. The Chinese believe that consumers having the ability to order and receive products at their homes not only is a convenience but also offers an emotional impact. This makes sense when you consider the emotional lift you sometimes get when arriving home from work and seeing a package at your front door. What does this mean for individual merchants and retailers who are now experiencing the ability to sell beyond their borders? First, the experience has to be as seamless as an in-store shopping experience, which can be a daunting task if you are shipping to another country. Second, the package must be delivered quickly, and typically the consumer doesn’t want to pay for shipping. In the same breath, the consumer wants a hassle-free returns policy at no cost to them. This now leaves the retailer searching for options. One of the most-costly services in business is transportation. Therefore, most companies will look for the most cost-effective way to move that box from the warehouse to the client. This cost will vary greatly depending on several factors, which would include the time it takes to deliver the package, the distance the package has to travel, and the method of delivery. Typically, the more convenient the process is for the customer, the higher the transportation cost will be for the retailer or individual merchant. As a result, most companies will look for a balanced approach that will satisfy both the customer expectation and the costs associated with transporting the order. The result of this evolution in the supply chain is the development of the end-to-end service provider. 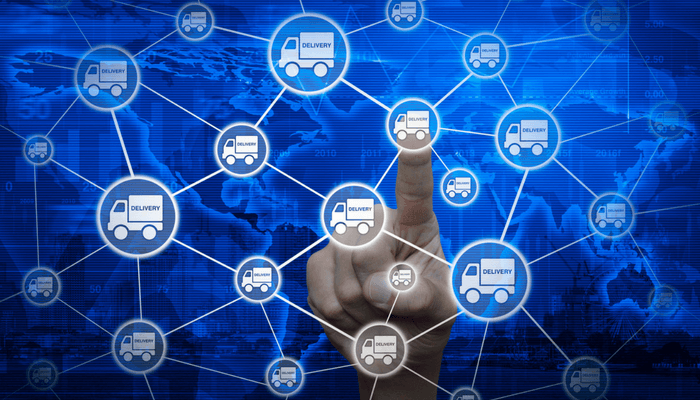 These logistics companies support retailers as a hybrid solution, providing services that range from distribution, customs clearance, transportation, and final-mile delivery. It can include a mix of their own proprietary distribution centers and trucks mixed in with a vast network of contracted transportation providers, which can also incorporate national post offices in the final-mile delivery. If this sounds confusing, it’s because it sometimes is. However, if done correctly it is a very sound and cost-effective method for the retailer to ship a customer order to someone who may be located on the other side of the planet. ■ A comprehensive security protocol that the contracted carriers must adhere to. ■ A robust auditing program that reviews compliance in the areas of security, scanning, and inventory control. As with most auditing, the basis is going to lie with the contractual verbiage that’s in place. ■ Loss analytics that can identify trends by country, company, route, and final mile. The foundation of this reporting is looking for package exceptions where the scanning stops, or what is commonly known as “going dark.” This is very similar to what retail loss prevention uses when running exception reports, except you are looking for trends for all touch points in a global supply chain. Regardless of whether a package circulates the globe and touches five different companies, if a scan is put to the package, and you can review that through reporting, you will see where losses are occurring. ■ Proactive communication with the carrier’s facility management, so they understand your expectations, loss trending analytics, and method of investigation. You will be surprised how receptive they will be to accept help and identify problems before they get out of hand. The one caveat is that unlike dealing with transportation companies in the US, there are specific government laws in each country that may limit the ability to conduct certain audits. This is more directed at specific actions, such as reviewing criminal background checks or drug screenings for employees versus operational processes. However, as a good rule of thumb, you should always check with your legal department and inquire about country-specific laws related to the transportation industry. As e-commerce continues to evolve, so will loss prevention. We have literally entered a new era in how the consumer shops and retailers must continue to figure out ways to ship these orders. What was once a supply chain dominated by a few large, proprietary companies is now expanding into a multifaceted approach that involves a myriad of companies that must all work together to support this growth. Glenn is the Co-Founder and inaugural Chairman of the ISCPO. He currently is employed with Newgistics as the Sr. Director of Loss Prevention and as an Adjunct Professor at Texas Christian University. He has over 20 years of Loss Prevention experience both domestically and internationally with companies such as Motorola, Henry Schein and Office Depot. 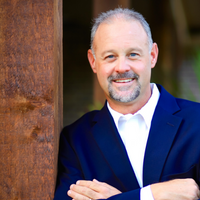 Glenn’s educational background includes a Master’s Degree in Criminal Justice from the University of Cincinnati and a Bachelor’s in Criminal Justice from the University of Texas-Arlington. The International Supply Chain Protection Organization (ISCPO) adds Associated Couriers, INC. to its roster of certified final-mile carriers. Dallas, TX (November 19, 2018) – FOR IMMEDIATE RELEASE – The International Supply Chain Protection Organization (ISCPO) is pleased to announce Associated Couriers, INC. has been officially awarded the ISCPO Carrier Certified designation, as part of the ISCPO’s Carrier Security Audit & Certification program. Associated Couriers, INC. has achieved full compliance with ISCPO Carrier Security Requirements, which includes a comprehensive due diligence process and analysis of various security standards necessary to ensure the integrity of goods flowing through the carriers and their clients’ extended supply chain. This article was written by ISCPO Board Member Maurizio P. Scrofani, CCSP, LPC, and was originally published at LPM. The supply-chain web is spun so intricately that it’s impossible to know it, truly. Perhaps the most we can aim for is to gain knowledge about one link, then another, and gradually appreciate more fully how pieces fit together. Maybe it’s not realistic—when it comes to today’s supply chain—to have a goal of becoming an “expert.” Instead, dedicate oneself to being a lifetime student of supply chain’s infinite complexities. The aim of supply-chain risk management (SCRM) is fairly straightforward. It’s how we help to identify risk and manage supply-chain security adequately. But learning about supply-chain risks is a bit of a rabbit hole. Even something seemingly basic can be muddy, such as where supply chain starts. (With a product’s manufacture? When plans are drawn? At ideation?) What’s certain is that risks are inherent at every step along a product’s path to a store’s shelf. And, perhaps, back again as purchase does not always mark an end to a product’s path through the supply chain. In the case of a return, the product may hit the road again, from store back to vendor, and undergo additional steps. In the case of, say, an oil-filled radiator, a vendor may face a series of environmental regulatory steps before parts and pieces are sent back to the manufacturer or a scrap company. The number of players, the differences in technologies, the amount of information, and the sheer volume of interactions between these and other layers of today’s global supply chain make it extremely difficult to identify risks, let alone mitigate them. Supply-chain management encompasses the coordination of the many activities related to sourcing, procurement, conversion, and logistics. It involves planning and processing orders; handling, transporting, and storing the products purchased, processed and/or distributed; and managing the inventory of goods in a coordinated manner. And there is risk through it all—as broad and diverse as the supply chain itself. Cargo theft is an example of a risk in the supply chain. It is, however, a single risk within a small section of the supply chain (logistics). A furniture manufacturer/seller of wooden dressers, for example, will have to manage myriad supply-chain risks long before it has even made a product to ship. For every metal screw or plastic knob that will come from a supplier, the company will need to assess reliability, and for every shipment of wood, its health and quality. Today’s vulnerabilities are multiplied due to greater geographic distances and the complex processes of the supply chain. Globalization presents unique challenges when applying supply-chain risk management methodologies to safeguard the supply chain from emerging threats and vulnerabilities. Disruption can hit the supply chain at any point, from manipulation in raw material usage, malware and intrusions in digital supply-chain processes, cargo theft, and crime in warehouses and distribution centers. – Demand risks caused by unpredictable or misunderstood customer demand. – Supply risks caused by any interruptions to the flow of product, whether raw material or parts, within a company’s supply chain. – Environmental risks from outside the supply chain, such as economic, social, governmental, and climate factors, including the threat of terrorism, global crisis and recession, and political upheaval. – Business risks caused by factors such as a supplier’s financial or management stability, or purchase and sale of supplier companies. – Physical plant risks caused by the condition of a supplier’s physical facility and regulatory compliance. In each area, questions fuel a risk-management process. Our furniture company, for example, needs clarity on key issues related to its suppliers if it is to embed resilience into its business. Intellectual property is one area—one among many—that it needs to examine. – Do our suppliers have a history of intellectual property theft? Been accused of it? – Have they been victims? Did an employee improperly share sensitive information or provide access to a facility? Was there a computer network intrusion? – How do they protect their internal computer networks? The furniture dealer also needs to know about its suppliers’ processes and procedures to verify the quality of its products or third-party products and services: How is the quality of product verified? What mechanisms are in place to ensure products meet requirements? Is an inspection process in place to review materials and/or services? Distribution is another category: How do suppliers transport products? Are they warehoused during transportation, and if so, where? Who has access to those properties? And what about finances? Are the suppliers stable? Again, these are just some of the necessary risk-management questions to help neutralize a small sampling of external risks, from a few slivers of the supply chain. And while partnerships with top suppliers are typically strong, these questions should also be asked and answered for second and third-tier suppliers. Of course, our fictional furniture firm faces an equal number of internal risks, including manufacturing risks, business and process risks, and planning and control risks. It faces risk from shrinkage resulting from holding too much inventory, for example. And what about risk from product defects? Or high labor costs? Or poor planning? What if key personnel leave? How might that impact business processes or how purchasers communicate to suppliers and customers? The consequences of failure are hardly hypothetical. A new commercial airliner was delayed three years because of a failure to assess supply-chain risks properly. A candy maker’s stock sank 8 percent when it couldn’t deliver for Halloween. And in 2015, a cascade of technology missteps in a major big-box retailer’s supply chain, which caused the prospect of patchy or empty store shelves, forced it to withdraw entirely from a country’s marketplace. A robust SCRM process starts by identifying this world of risk—conducting a comprehensive, organization-wide risk assessment to determine what can go wrong. Relevant metrics, multiple sources of input, and augmented data analysis are necessary to get an accurate picture of the current situation. Risks then need to be scored and prioritized, based on their likelihood of occurrence and potential impact on business. Once risks have been identified and prioritized, organizations need to create a comprehensive risk-mitigation plan based on short-term, medium-term, and long-term risks; to identify the right people to implement it and assign responsibilities; and to create escalation mechanisms for each risk and contingency plan. A clear risk picture and planning are the base layer. Organizations must also monitor and track the progress of their risk-mitigation initiatives to ensure that they work in real-life business situations. Risk-management tools and insightful dashboards can help steer an organization through interactions with suppliers and other operational stakeholders and prompt timely informed decisions. Broadly, SCRM is critical to managing interaction between suppliers, information, technologies, products, and logistics service providers. – Understanding the business, the customer and customer needs, and adapting the supply chain to find the balance that maximizes profitability. – Customizing the logistics network to meet the service requirements of various markets, which may influence the size, number, location, ownership, structure, and mission of warehouse facilities. – Recognizing market signals and aligning strategies accordingly to ensure consistent supply forecasts and optimal resource allocation. – Strategically locating/warehousing products close to the customer base and speeding conversion efficiencies to react quickly to market signals and store/customer needs. – Managing supply sources strategically to reduce the total cost of owning goods, as well as teaming with business partners to reduce costs across the supply chain to lower prices and enhance margins. – Developing a technology strategy and IT system capable of integrating all the above information—one that makes all this critical decision-making possible. A well-managed supply chain—one that mitigates risks—is essential to a successful operation. In today’s global manufacturing environment, where merchandise often moves across oceans or continents before appearing on store shelves, the risk of loss or delays due to cargo theft, weather, work stoppage, and even paperwork errors requires innovative and comprehensive supply-chain risk-management solutions to manage successfully. When we consider that every single piece of merchandise must in some way pass through the supply-chain network, it’s easy to see the need to implement appropriate controls and protect our interests against an increasingly complex world of risk. MAURIZIO P. SCROFANI, CCSP, LPC, is a well-known supply-chain asset protection professional with over twenty-five years of experience in retail and manufacturing, including leadership roles with Macy’s, Bloomingdale’s, Delonghi, and Toys“R”Us. He was cofounder and president of CargoNet, a supply-chain theft prevention and recovery network solution of Verisk Analytics. Currently, Scrofani is the chief supply-chain security officer for ALTO Assurance where he leads the team that offers shippers and logistics providers a comprehensive, end-to-end asset protection and risk-management technology solution. He can be reached at mscrofani@alto-us.com. The International Supply Chain Protection Organization (ISCPO) adds NOW Courier, INC. to its roster of certified final-mile carriers. Dallas, TX (October 9, 2018) – FOR IMMEDIATE RELEASE – The International Supply Chain Protection Organization (ISCPO) is pleased to announce NOW Courier, INC. has been officially awarded the ISCPO Carrier Certified designation, as part of the ISCPO’s Carrier Security Audit & Certification program. NOW Courier, INC. has achieved full compliance with ISCPO Carrier Security Requirements, which includes a comprehensive due diligence process and analysis of various security standards necessary to ensure the integrity of goods flowing through the carriers and their clients’ extended supply chain. “As consumers and businesses increase demands on eCommerce, there is an inherent increase in complexity and risk within transportation,” says Byron Smith, Vice Chairman of the ISCPO. “Seeing a need for standard/universal controls, carrier accountability, and transparency within the marketplace among the growing third-party regional carriers, the ISCPO Carrier Security Audit & Certification program helps recognizes those that execute above and beyond. Carriers awarded the ISCPO Carrier Certified designation demonstrate their commitment to maintaining high levels of security, both internally and externally with their clients. By adhering to one framework of standards set by the ISCPO, time and resources are saved on all fronts. Clients have peace-of-mind that their goods are secure while in transit. Carriers save time and expense by not having to toggle between different client security programs. And, the end customer gets their package on time. “What an awesome sense of accomplishment to receive the ISCPO certification for NOW Courier, Inc, and one we do not take lightly. Our company prides itself on security within the workplace, and that includes everyone from our drivers to our employees. Everyone owns security throughout our company to ensure our partners are 100% confident in the last mile carrier they chose, says Ryan Schwalbach, CEO of NOW Courier, Inc.
“NOW Courier is honored to have earned an ISCPO Certification. We are continuously committed to upholding the highest security and chain of custody standards for all of our clients’ logistics and supply chain needs.” says Robert Welch, Director of Security, Quality and Compliance of NOW Courier, Inc. When it comes to cargo theft, there is good and not-so-good news. According to security consultancy CargoNet, nationwide incidents of cargo theft last year declined 17 percent from 2016 levels. Yet there were still more than 700 reported incidents last year, involving $89 million of stolen goods. Many more incidents were believed to have gone unreported. The bulk of the thefts occurred over long holiday weekends when drivers take extended breaks and often leave their rigs and cargo unattended. Businesses are getting smarter, but so are thieves. Shortly after Memorial Day, Scott Cornell, transportation business lead and crime and theft specialist for Travelers Insurance, spoke to Mark B. Solomon, executive editor-news for DC Velocity, about the most current trends in cargo theft and what businesses can do to protect themselves from an expensive loss down the road. Q: Do you have a read on theft activity over the holiday weekend? A: This year’s weekend wasn’t the worst we’ve seen in terms of number of thefts, though it was slightly above the average weekend. During holiday weekends, it’s important for shippers, carriers, and brokers to make sure shipments are secured and to educate drivers on cargo theft tactics and prevention methods. It would be ideal to avoid leaving loads unattended. 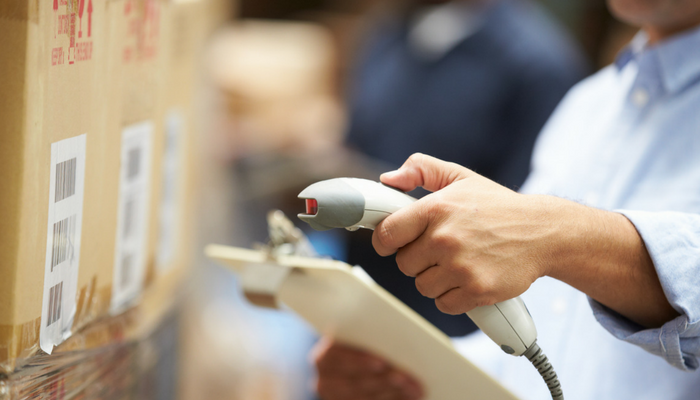 However, when that’s not an option, we recommend a layered approach to protecting shipments. This includes good processes and procedures, staff and driver education, and physical and technological security enhancements. Q: Five or six years ago, most thefts were yard heists and inside jobs conceived by ex- or current employees in the distribution center. Given the abundance of digital tools and thieves’ mastery of them, is the traditional scenario still commonplace? A: What we call “straight” theft is the most common type of theft, and it happens most often at unsecured locations. However, evolving technology has contributed to a rise in strategic theft, such as identity theft and fictitious pickups, by helping thieves identify their targets and find new ways to trick people. It’s important not only to use physical security to protect loads, but also to have strong practices in place for protecting critical information and defending your company from cyber-based threats. Having this type of protection in place for virtual threats is just as critical as the physical protection needed around a yard or for a load in transit. Q: Over the past five years, how have these tactics evolved? What has changed about the way they are executed? A: Strategic theft methods have changed over the years. There was a time when we primarily saw two tactics—identity theft and fictitious pickups—but in recent years, we have seen more than a dozen different methods used. These types of cargo theft involve the use of fraud and deceptive information intended to trick shippers, brokers, and carriers into giving the load to the bad guys instead of the legitimate carrier. Organized cargo groups now use strategic methods such as double-brokering scams and “ghost trucks,” and they will even trick legitimate trucking companies into picking up the loads for them. Additionally, thieves will combine two or three methods to further complicate things. Victims may not be able to tell how they’ve actually been hit. 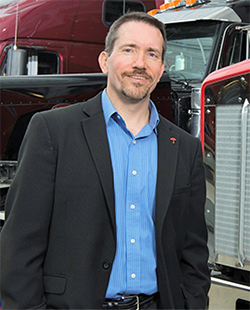 It is important to thoroughly vet all carriers and brokers through the Federal Motor Carrier Safety Administration (FMCSA), Internet search engines, third-party vetting companies, and industry associations. Work closely with shippers to confirm driver identification at the point of pickup, and don’t hesitate to contact your customers and business partners if there is any question or concern. Often, the additional scrutiny will deter thieves from pursuing the load in question. Q: Freight brokers and third-party logistics service providers (3PLs) play key roles in procuring truck capacity for their shipper customers. 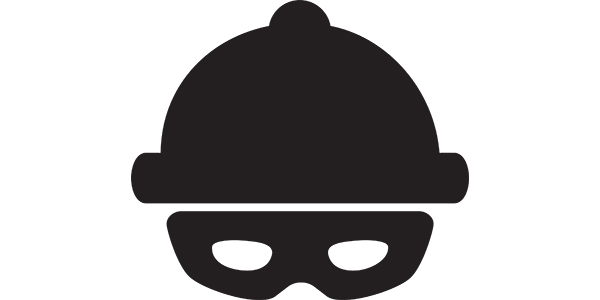 Do you find these intermediaries are up to speed on anti-theft strategies and tactics? A: It depends on whom you are talking about. Some larger brokers have dedicated teams with very detailed vetting procedures and security teams that can respond if they have a theft. Others may not have the same awareness or necessary procedures in place or dedicated resources needed to respond because they haven’t yet experienced a theft. Q: It’s been said that freight posted on spot market loadboards becomes a target as soon as it is visible. Loadboards are getting more traffic today as spot market demand remains very strong. What are the security holes in loadboard freight and how can they be fixed? A: Loadboards are as much a victim as the shippers and carriers in this situation. They are being taken advantage of while trying to provide a valuable resource and service, and there’s only so much that can be done to stop it. Some boards restrict membership, but even that can be worked around, and when bad guys do get through, it’s simple for them to profile a load to target. In this situation, it’s important for users to exercise caution when coordinating through these boards. There are some steps they can take to help keep a shipment safe: First, establish strong pickup security policies and procedures. For example, require the driver to have a specific and secure pickup number to gain access to the load. Second, ensure everyone involved in the haul is who they say they are. This also goes for the freight broker assigned to choose the carrier. Third, check if your insurer offers the right coverages for these perils and has the resources to prevent theft issues and recover goods if the worst happens. Q: You said at a recent conference that thieves will “go to the well until the well goes dry.” Does that mean they will leverage the same scenario until they are stopped? How do shippers and carriers combat this? A: Thieves know what they’re doing. If they know they can target a specific company with good cargo and insufficient preventive measures, they’ll do so until someone stops them. But they’re also smart enough to move on when law enforcement or the targeted company starts cracking down. We’ve seen several shifts over the years where law enforcement will be on the lookout for one type of theft, and in response, thieves will shift their tactics to evade detection. Similarly, we’ve seen thieves make sudden geographic shifts when they realize they’ve attracted too much attention in one area. For example, we’ve seen California-based crews move to Arizona, Utah, or Washington to evade detection. This creates a Whack-a-Mole effect. Q: How much theft can be deterred just with common sense, such as fully vetting a carrier before providing pickup information? Or is that easier said than done? A: Cargo theft doesn’t take only one form, and neither should theft prevention. I can’t stress enough the importance of taking a layered approach to protecting loads. Remember, processes and procedures are free, and they are often the best methods to prevent theft. Businesses moving goods through their supply chain have two choices, transport it themselves or outsource it. Transportation is typically one of the largest expenditures within a Supply Chain operation. Most businesses choose to contract out at least a portion of their delivery volume, allowing them to realize immediate savings from not having to maintain a fleet of vehicles, routers, dispatchers, DOT regulatory, driver recruiting, training, insurance, and a multitude of other costs. However, some degree of uncertainty with regards to cargo loss, damages and service deterioration are unrealized costs that must be contended with when relying on a third-party to transport your goods. While the decision to outsource is usually a no-brainer, the challenge for Loss Prevention professionals becomes how to best manage to this risk without increasing costs beyond operational savings. Transportation leaders and their Loss Prevention counterparts should be equally focused on transport expense & performance. The difference however is that Transportation leaders are accountable to their organization for quality of service and invoiced expenses or “today’s costs” while Loss Prevention typically assumes risk mitigation tactics for cargo loss and other liabilities or “tomorrow’s costs.” Regardless of focus, both teams need to feel confident that their service providers can demonstrate competency in maintaining cargo integrity and performance. So how can service providers accomplish this? Carriers listen up! There are usually 3 basic qualifiers to be considered “competent” or low risk by your clients. 1. What are the carrier’s industry certifications? It reduces carrier waste or non-operating costs when effective and efficient controls are practiced. Ideally a lower cost operator can pass the savings onto potential clients during an RFP. 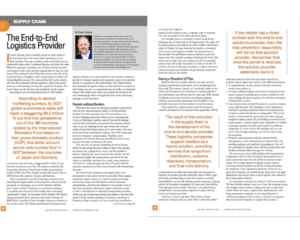 Carriers can stand confidently behind one set of industry standards that should address most client-specific security demands. Therefore, carriers and clients don’t need to re-create the wheel with proprietary checks & balances or adhoc requests. Overall, it improves audit compliance, reduces risk and minimizes losses for both the carrier and client. The ISCPO Carrier Security Audit Certification – International Supply Chain Protection Organization [ISCPO.org] has developed a free certification for the final-mile carrier which defines the standards most important to the client’s Loss Prevention department. The ISCPO has defined various security standards necessary to ensure the integrity of goods flowing through one’s extended supply chain. The Carrier Security Requirements is a document fundamental for all “final-mile” carriers and provides the standards most relevant to the losses suffered by businesses today. 2. Does the carrier have In-House LP Leadership? Carriers need to invest in hiring a Loss Prevention head to evolve training, auditing and investigatory programs. The carrier must invest in capable personnel who are trained to prevent loss occurrences and reduce their impact should they occur. Too many times untrained or unexperienced personnel chase losses underground, only to see resurface again at a later time. This not only results in a significant waste of the carrier’s time and money but also frustrates clients. Without the experienced Loss Prevention practitioner to maintain vigilance, inadequate training and audit compliance comes at a cost too through unsustainability and repeat failures. By having in-house LP support, clients have trust that the carrier is committed to a culture of prevention and compliance. Client Loss Prevention teams come to rely on colleagues who speak the same language in terms of training, audit and investigation. 3. How does the carrier establish a culture of transparency and responsiveness when engaging with client issues? Customer service is always a #1 priority with any client in any industry. It is critical that clients feel they have complete transparency in understanding how the loss occurred and appropriate corrective action plans. This goes hand-in-hand with having an in-house LP Practitioner as outlined previously but all too often operational or sales support may try to more positively spin the results of their investigation without addressing the true factors or controls that either failed or were never put in place. Clients expect accurate fact-gathering and reporting without omission while trying to respond back to their customers for the failed deliveries. In other-words, clients are accountable to their own customers in Ecommerce, Pharmacy, Banking, and other industries so carriers need to be cognizant of the end-customer demands for the products they’re delivering. This is a systemic issue in LP that spans all facets of the carrier’s business, from sales, technology, and logistics. So the next time you are going through the RFP process, I strongly encourage you to speak to the above areas for optimal consideration. I know that I will be inquiring. Wes Bank, LPC is the Director of Loss Prevention for DHL eCommerce, overseeing risk management, government regulatory, audit, investigations, and physical security. An active ISCPO (ISCPO.org) Board Member, (currently serving as Secretary), he founded and chaired the ISCPO’s Carrier Security Audit Committee with the objective to improve “final-mile” carrier compliance. Retailers need better planning and an improved infrastructure to support the changing habits of the retail customer. As we all are well aware, the holiday shopping season seems to be starting earlier with each passing year. It was October 21st when I saw the first commercial advertising for the 2017 holiday season. To my surprise, however, I didn’t see many stories this year about people camping out for a week in the parking lot of a store waiting for the best Black Friday deals. There could be any number of reasons for this, but what we do know for sure is that retailers are now providing more options to consumers earlier in the shopping season than in previous years. While holiday shopping patterns in retail stores is something we may all notice, there are other areas within the business that may not be as visible to the customer, but just as impactful on the business. The one thing that I have witnessed firsthand is how this new strategy is affecting the supply chain. “Peak,” as it is referred to, is the time leading up to Christmas when holiday order volume increases dramatically. That’s roughly fourteen weeks of what is now becoming pure chaos for logistics providers. The official numbers for the 2017 peak season have yet to be tallied, but based on projections this is going to be a record season for retail, with a large percentage being attributed to online sales. While overall this may be good for business, this is nonetheless having a profound impact on the domestic supply chain because the infrastructure supporting all these parcels simply cannot keep up with the volume of products being shipped. Here are three key areas where the industry is failing to keep up with the changes in holiday shopping habits and some basic steps that can be taken to solve this growing problem. Most retailers have analytic models that produce estimated volume projections to determine the number of orders that will be passing through the supply chain network. This information is passed on to its contracted transportation providers, allowing them to plan for the staffing models necessary to handle the anticipated product volume. Despite all the computer analytics being used, the one thing that cannot be easily forecasted is how online ordering can be affected by the unpredictability of human behavior. This is especially true from Thanksgiving Day through Cyber Monday. In talking with my loss prevention peers in both retail and transportation, consumer sentiment was grossly under-estimated going into the 2017 holiday season. So, regardless of the current political atmosphere, the federal reserve raising interest rates, or the potential that North Korea may launch a nuclear bomb, U.S. consumers were ready to spend money this holiday season. This buying atmosphere creates both a positive and negative scenario for businesses in the supply chain. The obvious positive results in an increase in revenue. However, a less-than-ideal result follows when unplanned volume cripples the infrastructure that moves parcels along the supply chain. This would be the equivalent of a dam breaking 50 miles up-river with all the towns down-river being flooded as a result—except the flood comes in the form of packages. SOLUTION: To avoid this type of catastrophe from occurring again, retailers must do a better job of preparing for a potential spike in online sales and projecting product volumes in real-time. This may be challenging since most of these online orders are being placed during the Thanksgiving holiday when the majority of corporate America is out of the office. One solution would be to have retailers streamline the flow of information to logistics providers by providing daily volume-trend monitoring that is communicated immediately to transportation providers. Typically, the more convenient the process is for the customer, the higher the transportation cost will be for the retailer. As a result, most companies will look for a balanced approach that will satisfy both the customer expectation and the costs associated with transporting the order. What this means is that everyone is ultimately contracting with everyone else and parcels can easily transit multiple companies before reaching your doorstep. With each touch point is an exposure to a parcel being lost or stolen. It is difficult to investigate losses in this network when volumes are normal. Add 50 percent or greater volume in a very short time span and investigating loss becomes nearly impossible. Some of the contributing factors to this loss include lack of management oversight, mis-shipped packages, and theft that is camouflaged due to operational failures. It is critical for transportation providers to be able to plan and manage this volume appropriately. SOLUTION: The most common areas where loss occurs during peak is during the morning launch of drivers. This is when the terminal has the most amount of freight on the floor and the least amount of management oversight. Transportation managers should also focus on conducting spot audits of drivers prior them launching. This will not only keep the drivers honest but also allow management to find mis-loaded packages that occurred by mistake. The labor market in the supply chain has increasingly become very tight. If you look at any major fulfillment or distribution company, everyone is fighting for the same contracted employee. This becomes a booming industry for staffing agencies, but also poses a challenge for them on finding suitable people to fill open positions. To try and gain an edge, we are now seeing companies during peak season reducing or even eliminating their applicant screening process to get employees in the door. This may result in your contracted labor having criminal backgrounds, financial issues or drug problems. In year’s past, jokes would be made in the loss prevention community that staffing agencies are resorting to hiring people on the steps of county jails after they bond out from a weekend incarceration. In recent times, these types of jokes are becoming more a reality. SOLUTION: Enforce your background check process instead of skipping this important activity. Reducing or eliminating the background check process can have major impacts to your organization resulting in lower productivity rates, criminal activity within your operation and a greater likelihood of theft. People say there are no guarantees in life. I tend to disagree as it relates ecommerce. The trend has been and will continue to be unprecedented growth. With this growth brings numerous challenges to an infrastructure that was not designed to move millions of packages in a short time period such as peak. Without substantial investment and planning Peak Season in 2018 will be just as challenging for industries that are tasked with getting that holiday gift to the consumer. Glenn is the Co-Founder and inaugural Chairman of the ISCPO. He currently is employed with Newgistics as the Director of Loss Prevention and as an Adjunct Professor at Texas Christian University. He has over 20 years of Loss Prevention experience both domestically and internationally with companies such as Motorola, Henry Schein and Office Depot. Glenn’s educational background includes a Master’s Degree in Criminal Justice from the University of Cincinnati and Bachelor’s in Criminal Justice from the University of Texas-Arlington. Staying current is a must in Loss Prevention. Whether you work in retail, logistics, or transportation you’ll get the latest stats, strategies, and best practices after reading these free white papers. Our friends at Loss Prevention Magazine recently asked Glenn Master (ISCPO board member and former Chairman) and John Tabor (ISCPO board member) how organizations can anticipate, prevent and investigate cargo theft as well as maintain logistics protocols that mitigate risk when it comes to supply chain security. BSI Supply Chain Services and Solutions | Email: supplychain@bsigroup.com | LinkedIn: BSI Supply Chain | Twitter: @BSISCS | www.bsi-supplychain.com This email may contain confidential information and/or copyright material. This email is intended for the use of the addressee only. Any unauthorized use may be unlawful. If you receive this email by mistake, please advise the sender immediately by using the reply facility in your email software.